CROCKETT – The Crockett Bulldogs closed out the scrimmage part of the 2016 season on Thursday night, Aug, 18 against the Woodville Eagles. 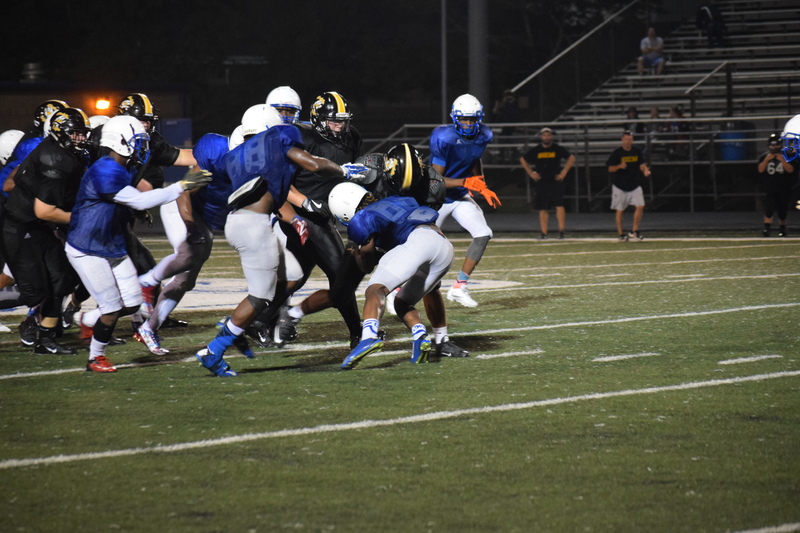 While they showed some flashes of positive things to come as the season progresses, the Dawgs were not nearly as crisp as they were in their opening scrimmage against the Elkhart Elks. Penalties, dropped passes and missed assignments kept Crockett from making the same statement they made against the Elks as the Eagles flew into town. 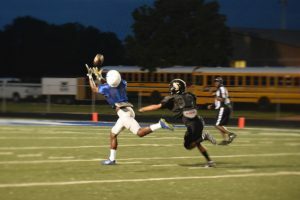 Now, the Dawgs still showed they can play a little football as BJ Anderson connected with his receivers on deep routes, the defense showed some toughness and the Crockett running backs showed off their speed and physicality. On both sides of the ball, however, the team just seemed to lack consistency. AD/Head Coach Jimmy Thompson commented on his team’s performance after the scrim mage. “I didn’t think we looked very good. I think we came out and played tonight like we practiced all week. We had a false sense of confidence after last week,” he said. Even though the Dawgs didn’t perform as well as he would have liked, Thompson expressed, “It was a good scrimmage for us. We saw quickness out there and we saw some speed. We also saw some toughness we needed to see. It was a great scrimmage. The kids have their heads down a little bit, but sometimes you need that. The Dawgs kick off the regular season next week on Friday, Aug. 26 at Monte Jack Driskell Stadium in Crockett against the Trinity Tigers. The game is scheduled to begin at 7:30 p.m.